Before attending a beer event, we at The Hop Review like to do at least a little research on what we're getting ourselves into. What breweries will be there? Who haven't we heard of and who should we talk to? This was not the case at the American Beer Classic. We were lucky enough to get cheap (i.e free) last minute tickets to the event and went in completely blind. In fact, getting off the L and walking toward Soldier Field itself was an adventure as we had no idea which entrance to head to and the area surrounding Soldier Field was completely devoid of any signage. Once we eventually found our way into the stadium things were much more organized. The event hosts had created an Android/iOS app but also handed out a roughly 70 page souvenir booklet with more information on the location, event and, most importantly, the breweries in attendance. The book also contained your drink coupons which, as with the Chicago Beer Festival we attended back in March, were almost universally ignored by the vendors. My official sample count by the end of the event totalled exactly 4 beers. Needless to say, I tried a few more than that. With temperatures dipping down into the mid 40's, we headed out to explore the huge selection of beers on tap. 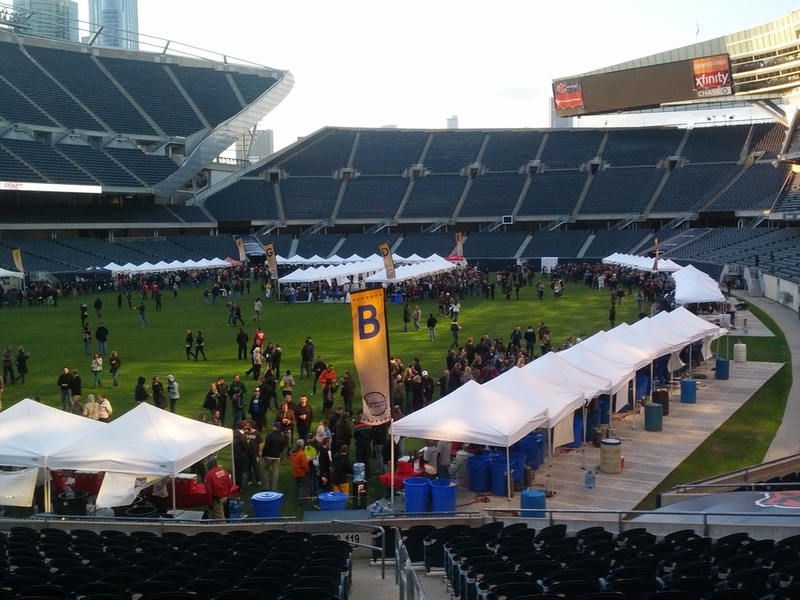 There's no doubt there were more options than at the Chicago Beer Festival with breweries visiting from across the globe. The unique setting and extraordinary variety on offer made for a great experience despite the chilly weather. distinctly dry-hopped beer that really punches you in the mouth when you take your first swig. One of those beers you remember after continuing onto the next. Their website says they're coming soon to Illinois. Consider us first in line. Exactly what you'd expect from a red ale and that's just fine with us. Would be perfect for a hot summer day spent grilling on your deck, beer in hand. 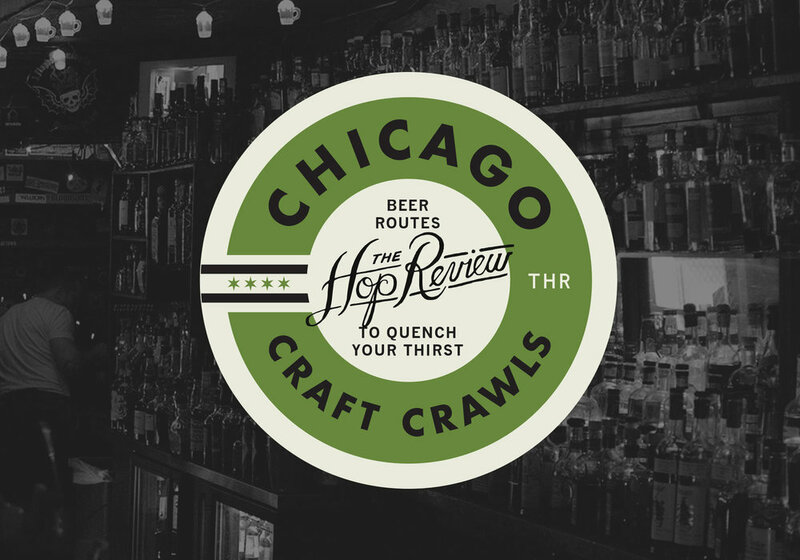 You'll only find it in a couple speciality places in Chicago right now but hopefully more are on the way. An easy drinking pale ale that somehow fulfills the requirements of session ale with all the character of an IPA. You'll be remembering this one... even after drinking a few. The definition of a session ale, this wheat from local brewer Argus was brewed as a partnership with the son of Hall of Fame NFL running back Walter Payton and his foundation to benefit underprivileged children. Reviews of this beer lead us to believe that most others don't like it too much. Well we do and we'd have another thank you very much. cornerstone of California's Hermitage Brewing Company, Citra pours a beautiful amber color and smells incredibly floral (exactly how an IPA should). There's not much else to say about this beer other than, if you're a fan of hoppy beers try it, and try it now.